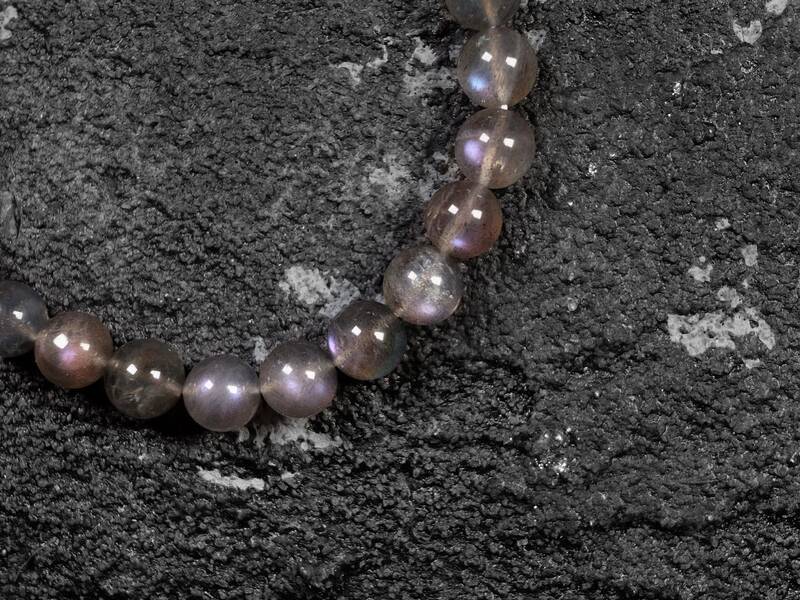 This labradorite has a grey body color with some nice purple and dark orange flashes. 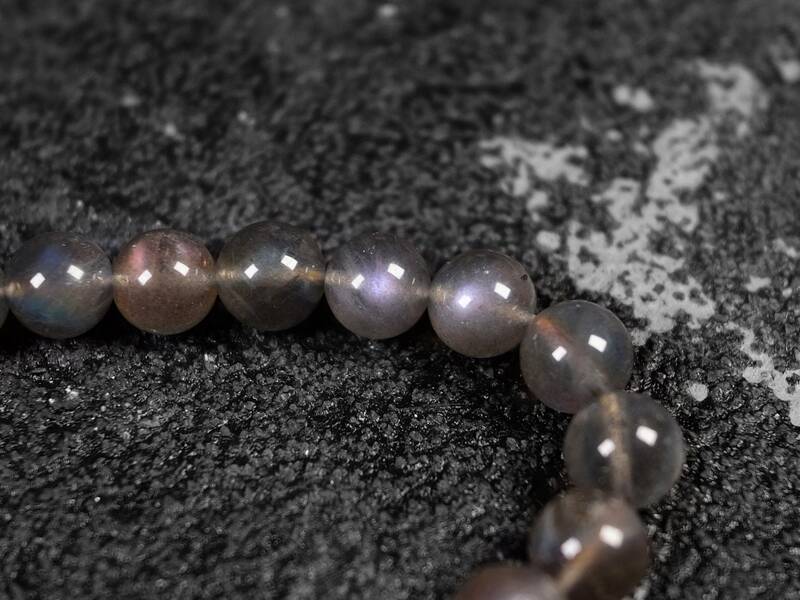 Although the flashes are not very strong, overall quality is good because purple flash is rare in labradorite, especially in a smaller bead form. 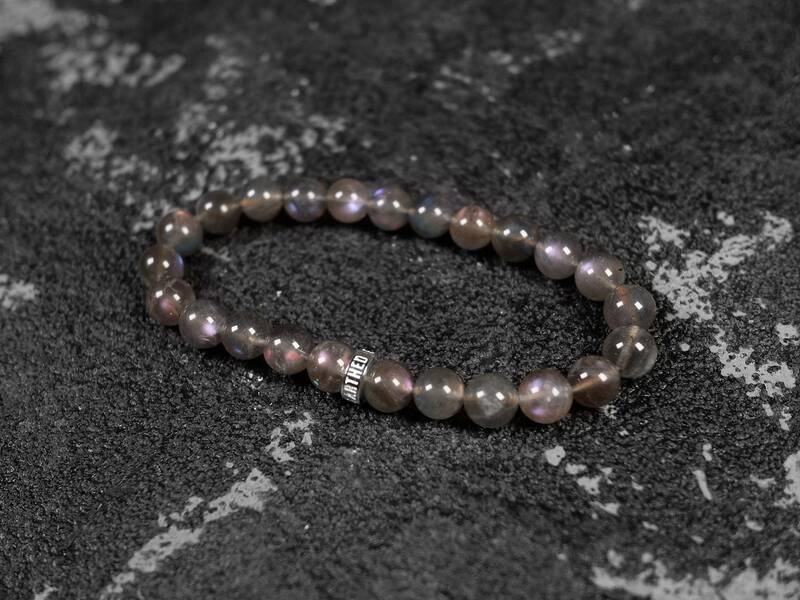 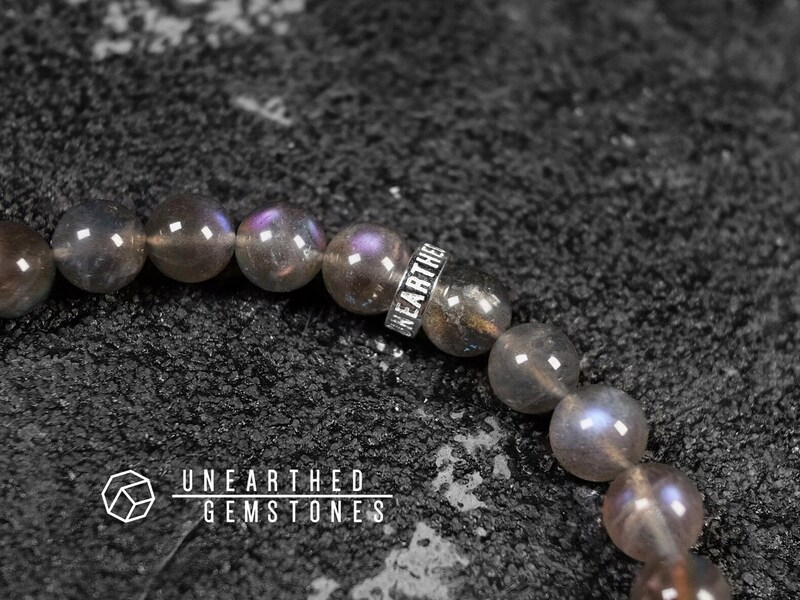 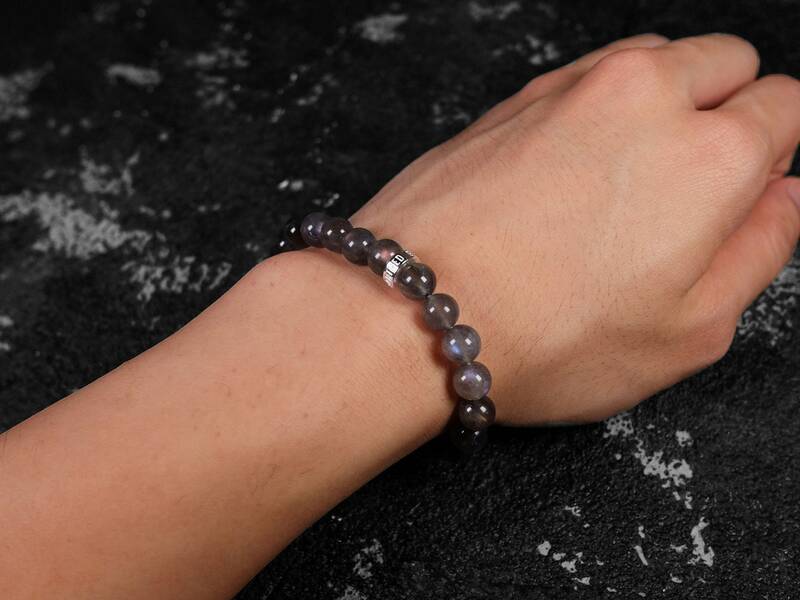 With the Unearthed Gemstones sterling silver, this piece is a great way to showcase purple labradorite. 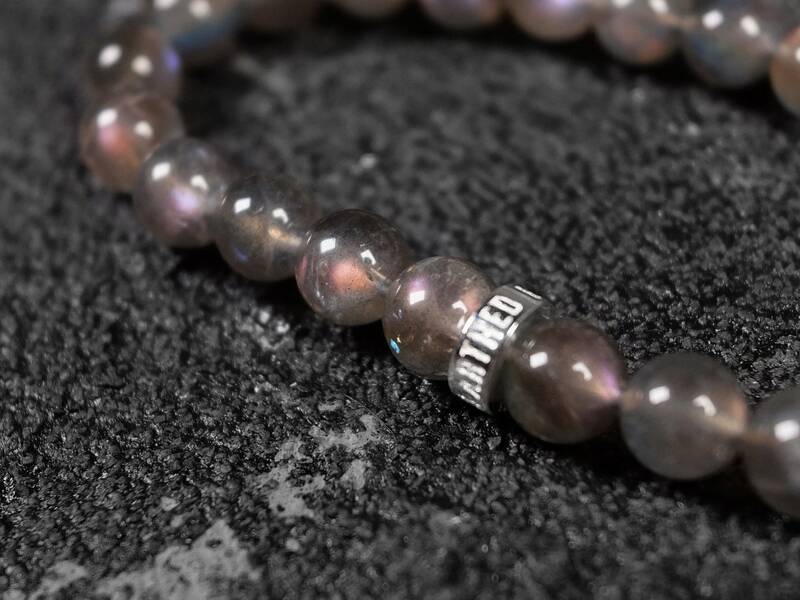 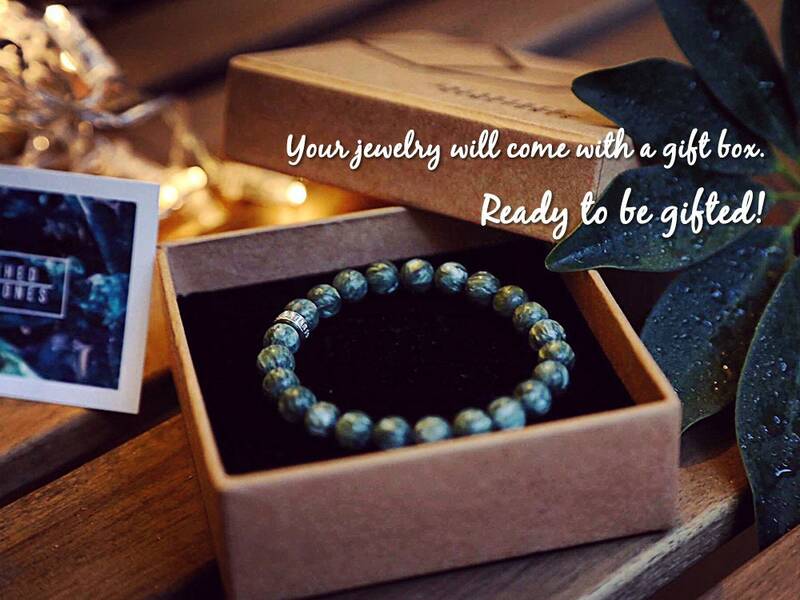 Labradorite is a feldspar mineral that often has a “schiller” effect, which is a play of iridescent colors like blue, yellow, green and purple. 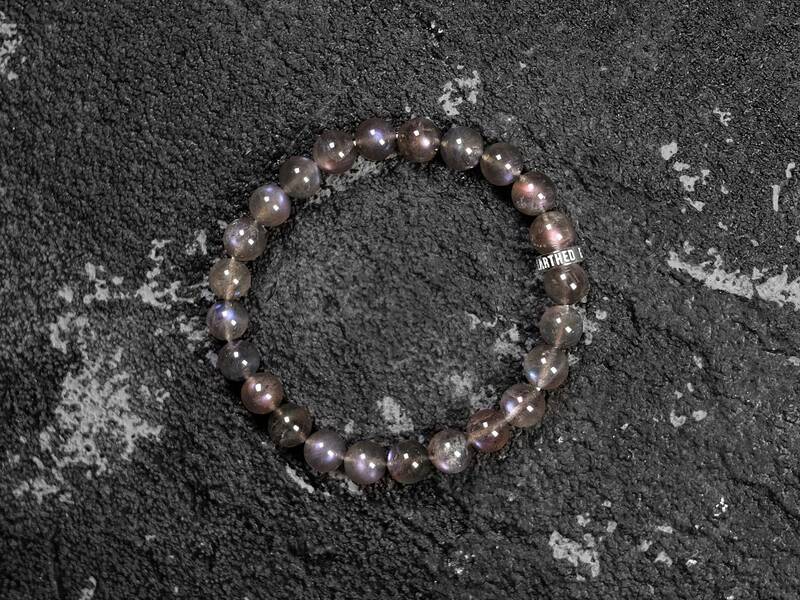 This effect is so special that it is appropriately called “labradorescence”. 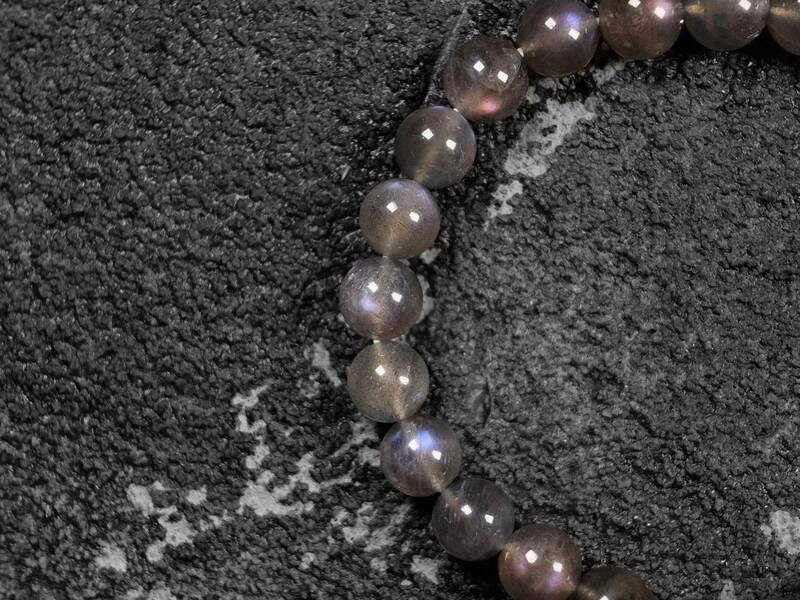 Stones with this effect are used in jewelry. 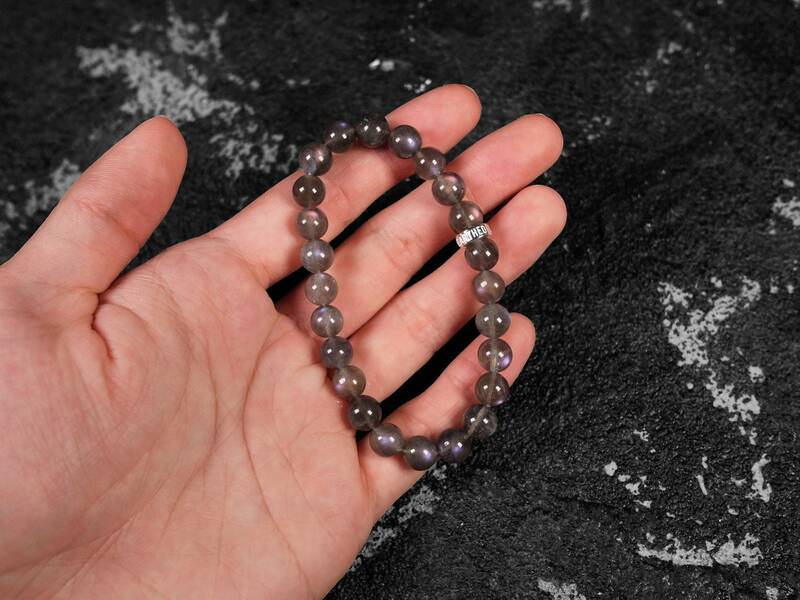 Labradorite that can display a wide range of colors are called spectrolite.